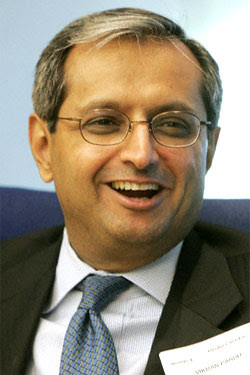 Bloomberg reported Thursday that Citigroup Inc.–which has been given $45 billion in bailout money so far–is planning a $10 million renovation of the Park Avenue offices of CEO Vikram Pandit (pictured) and other high-ranking execs. This is an incredible act of hubris given the public shaming Citigroup received in January when the company revealed plans to purchase a $50 million corporate jet, a decision the Obama administration ultimately pressured them out of. Perhaps Shittigroup should redirect the $10 million they were going to spend on Sub-Zero fridges and other office upgrades to a better PR division. Or they could just all fire themselves and GO. AWAY.